Does your child need ADHD drugs? Expert: "Drugs are viewed as the frontline treatment"
If patient decides to use medication, ask, "What can we expect with this treatment?" (CNN) -- Unbeknownst to her parents, Sydney Kirk tried a little medical experiment on herself when she was in the eighth grade. For a day or two, every so often, she stopped taking her drugs for her attention deficit and hyperactivity disorder. Sydney Kirk, right, took a medication vacation from her ADHD drugs unbeknownst to her mom, Julie. "I told my parents I just forgot to take them, but really I wasn't taking them on purpose," says Sydney, who's now 15 and about to start 10th grade at a private school in Olney, Maryland. "I just didn't like how they made me feel. They made me shy and less talkative. I wasn't myself." Sydney says she felt so much better off the medication that she confessed her medication vacation to her parents and asked if she could stop taking the drugs -- drugs she'd been on since third grade -- permanently. After consulting her doctor, her parents agreed, and while Sydney's concentration suffered a bit and her grades did slip a little, she and her parents are happy with the results. "She's doing great," says Sydney's mother, Julie Kirk. "We've had to work on her study skills, but there's no way she'd go back to taking the drugs." While doctors don't endorse patients with ADHD taking themselves off drugs without consulting their physician, Kirk's experience brings up a question often on the minds of parents: Does my child really need drugs for ADHD, and if so, is there a point when he or she should stop taking them? Dr. James Waxmonsky, an assistant professor of psychiatry and pediatrics at the University at Buffalo, State University of New York, says parents need to weigh in when doctors are making decisions about ADHD treatments. "We're very collaborative with patients and their families," he says. Expert Q & A: Can supplements treat ADHD? Waxmonsky, a child psychiatrist, and other experts advise parents to ask these questions when considering whether drugs are the best approach for a child with ADHD. 1. What can we do instead of, or in addition to, drugs? Kirk says her daughter's doctor never brought up alternatives to drugs for Sydney's ADHD, which she describes as mild. 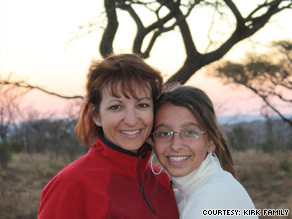 "We were never given the option of teaching her coping skills," Kirk says. "It was immediately, 'Let's give her the drugs.' "
Once Sydney went off her ADHD drugs in eighth grade, her parents taught her study skills to help her concentrate better. "Sometimes they take away my phone and my iPod to get rid of distractions," Sydney says. "I didn't like it at first. I fought them. I said, 'Why don't you trust me?' But it really did help." Waxmonsky says while some children clearly do better on ADHD drugs, others don't need them. "Drugs are viewed as the frontline treatment even though there are behavioral treatments that long-term are equally as effective," he says. 2. Is this free drug sample really the best drug for my child? In a recent article, Consumer Reports warned parents against accepting free drug samples for ADHD. Because drug companies tend to give samples for only the most expensive drugs, once the samples run out, you'll end up paying more than if your child had been prescribed a generic drug. Consumer Reports also has ratings on ADHD drugs. "This isn't like taking an antibiotic for 10 days," says Dr. John Santa, director of the Consumer Reports Health Ratings Center. "Kids take these drugs for years, maybe even for a lifetime." According to Consumer Reports, you could save $3,000 a year or more by choosing a generic drug. Waxmonsky says both brand-name and generic drugs can work well against ADHD, and that different drugs work better for different patients. Pharmaceutical companies say free samples can be helpful to patients. "Free samples have helped improve the quality of life for millions of Americans," says Ken Johnson, senior vice president of Pharmaceutical Research and Manufacturers of America, adding that free samples can help a doctor determine whether a particular drug works for a patient. 3. What can we expect with this treatment? Waxmonsky advises patients to get doctors to be very clear about what results to expect on any ADHD treatment. "Some parents think medication will take care of everything -- will help their child get better grades and be more popular," he says. "But medication doesn't take care of everything. You should ask your doctor, 'What do you expect to get better and what do you expect not to get better?' "
If a parent or child ever feels like it is time for the child to stop taking medication, Waxmonsky and others recommend consulting the doctor to determine whether a medication vacation is a good idea. In this, timing is very important: "You wouldn't want to go off these drugs during final exam week," says Waxmonsky. Do you want your daughter to get the HPV vaccine? Tell us what you're thinking at empoweredpatient@cnn.com. CNN's Jennifer Pifer Bixler and Sabriya Rice contributed to this report.